We Just Make Good Scents! We have been pouring candles for over 30 years and we know how to do it right. Proud to say we are American Made! 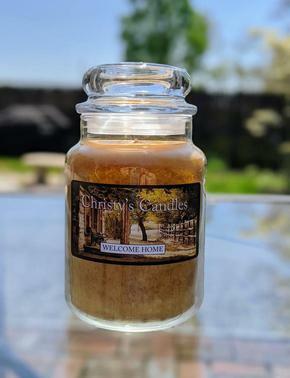 We offer 44 different fragrances in a variety of colors and sizes, along with room sprays, tarts, Christy's cakes, votive candles and tea lights. All created here at Christy's Candles & Gifts. We also carry other fabulous products and gifts, from silk floral arrangements to painted wine bottles to handmade jewelry, purses and an array of home décor. Drop in and take a look.